This incredible Daily Visual Schedule is exactly what everyone needs. 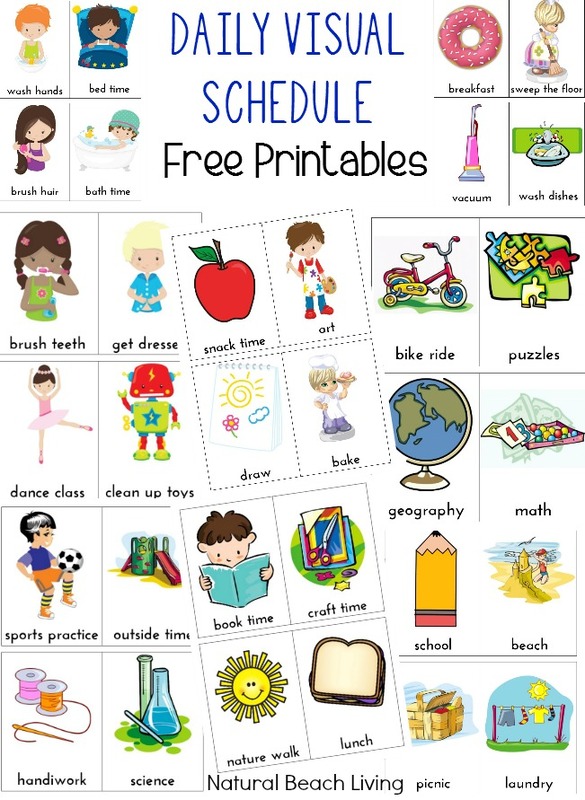 Whether you are looking to stay organized, just starting out on your homeschool journey, or have a child with special needs, visual schedules work great. It didn’t take me long to realize my son needed a picture card visual schedule. Children with Autism and Sensory Processing Disorder among other different needs can benefit from having a visual schedule to look at every day. Plus, having that much-needed organization helps our day run smoother and keep a routine. These free printables will work great for you at home or in a school. 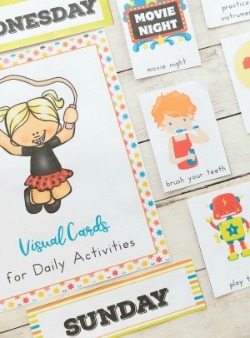 There are so many ways you can use these visual picture cards. I’ll start with how you see them here. We love pocket charts! I have used pocket charts for many different learning activities. There are so many ways to display a visual schedule. Display them on a shelf or wall area. Whichever way you decide to display your visual schedule I am sure your children will love it. 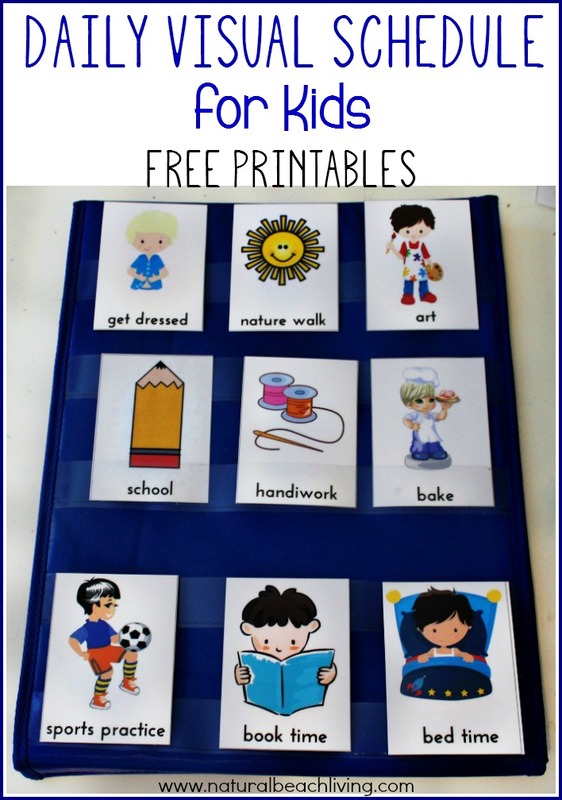 I place our cards on the chart or hanging daily and store them in a magnetic basket on our magnet board below. My daughter loves getting these cards out daily. Just looking at them and reading them with her has been great for language development. Maybe you have a command center in your house where you can add these great daily schedule cards. They can easily be hung and clipped which will also work your child’s fine motor skills. We love these cards! Honestly, ever since we started using them our days run smoother and transitions are much easier. I plan on adding additional cards for outings and extra activities soon. I hope these visual schedule cards help your family as much as they have helped mine. Enjoy! Using a visual schedule reduces anxiety and stress for children during transitions. Many children who are on the spectrum tend to struggle with transitions. 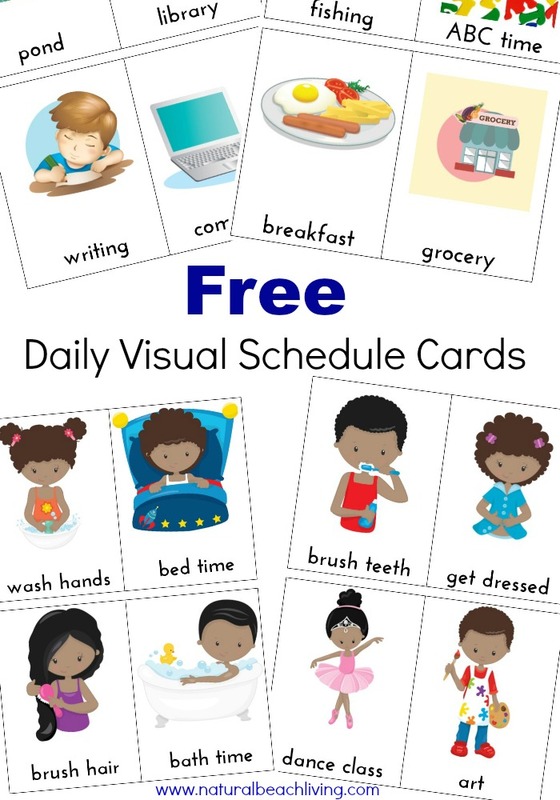 Visual Schedules will help your child feel comfortable and get into a daily routine. I have added more free picture card sets which you can access by signing up below. Or you can click over and purchase the huge bundle or Editable Bundle of Visual Cards Here. Kimberly I have been looking for resources for my clients to create visual schedules. I am a pediatric Occupational Therapist and I use visuals in my work every day. A schedule of a child’s daily routine is wonderful to help them stay on task and increase their independence. These are also really cute! Thank you for creating such a great resource! I will be sharing with my families and my blog! Have you done feed the pets, getting in car and buckled up, or dinner yet? Thank you so much for sharing these amazing cards. 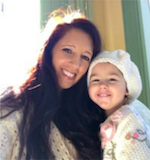 It is so easy to become so frustrated when you are the parent and still trying to learn the best way to handle things when their world is thrown into chaos. My son has ADHD and I think a sensory issue also. So sometimes these time frames are just overwhelming. My son does amazing with routines, but sometimes, others in the house forget his routine and throw him off, which causes chaos. These will help tons! Thanks again!! Hi! This is a great idea. I have been having trouble getting my five year old to stay focused while getting ready in the mornings. I created “things to do” and “things that are done” evelopes. He takes one card that needs to be done and places it in the done envelope when finished. Hopefully these cards with pictures help because I only have the words written. Thanks a bunch, I will keep you posted. Thank you very much for these cards! they’re so helpful!! I’m having trouble with the second set of cards, could you please email the link to print them? Thank you very much!! Sent them to your e-mail. Enjoy! Thank you! I have these all cut and ready to use tomorrow! I’d love to see a “make bed” and maybe a generic “chore” card or “free play” card. Thank you so much for these. I was searching for something to help my daughter be more independent before little sister arrives. I love the little pics but I wish there was one of a potty. My daughter is almost 6 but I still have to remind her to go or it will be noon before she does!! I was able to print both sets. Thanks, again. Would you consider adding chore cards that are appropriate for toddlers (make bed, empty dishwasher, sweep, vacuum, dust, feed pets, etc) and also (OUR BIGGEST BATTLES: get in carseat and no FIGHTING or whining). We struggle with the last 2 daily! I don’t see and end to it but the visual accompanied by a reward might get us a little closer to our goal. Your cards are fantastic! These and your other two sets are fantastic. I’m working on creating a summertime homeschool schedule and these will be great for my little ones. Thank you for sharing! Hello Kimberly. 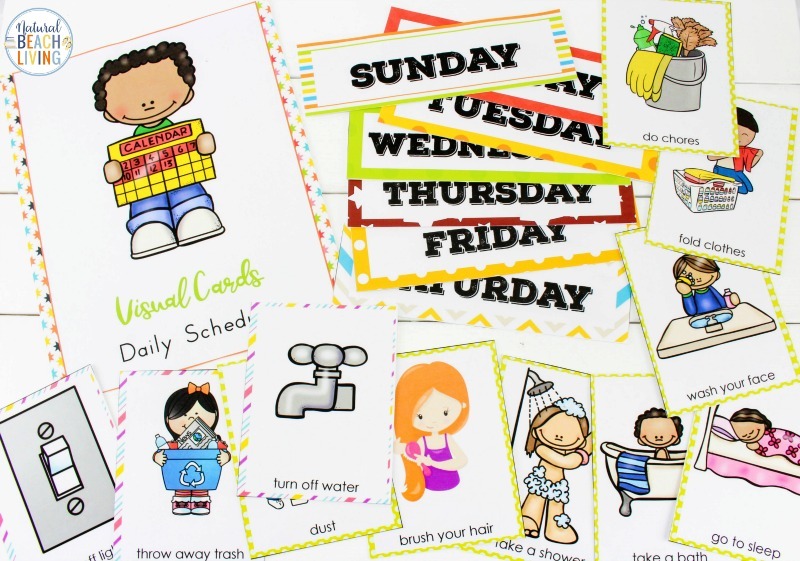 I would love to have these visual schedule printables. Can you please email them to me? Thank you so much. Not all children are Caucasian. It would help to have clipart that is racially diverse. Why is it that I seem to have either forgotten or didn’t know that you have a child with autism? I love your images for your picture schedule. We used to have one for everyone hanging on our dining room wall for the longest time. It helped things so much! These cards are adorable and have so many great visual options for helping a child through their day. Cute! Kimberly, these are adorable and I plan to use at least some of them for my highly visual son. I noticed there’s no card for dinner and I’m not sure that the pictures for breakfast and lunch are such a great idea. Well, at least not for us – I wouldn’t want to promote junk food and I know if my son saw a donut and sandwich every day, he’d think that’s what he’d be getting for those meals… Imagine the tantrum of a 3.5 year old who thinks anything printed is gospel! Anyway, if you were planning to add any others in the future, maybe offer alternate cards for those two and include a dinner card. Otherwise, these are fantastic and thank you for creating and sharing them! I totally agree. Unfortunately at the time the art used a donut was the only option, BUT I totally thought the same thing. I plan on adding a lot more options soon- outings, meals, and so forth. Thank you so much. Being a fruit and veggie family I love promoting healthy foods. I hope you can still enjoy the other cards.